SARAJEVO, BOSNIA AND HERZEGOVINA. 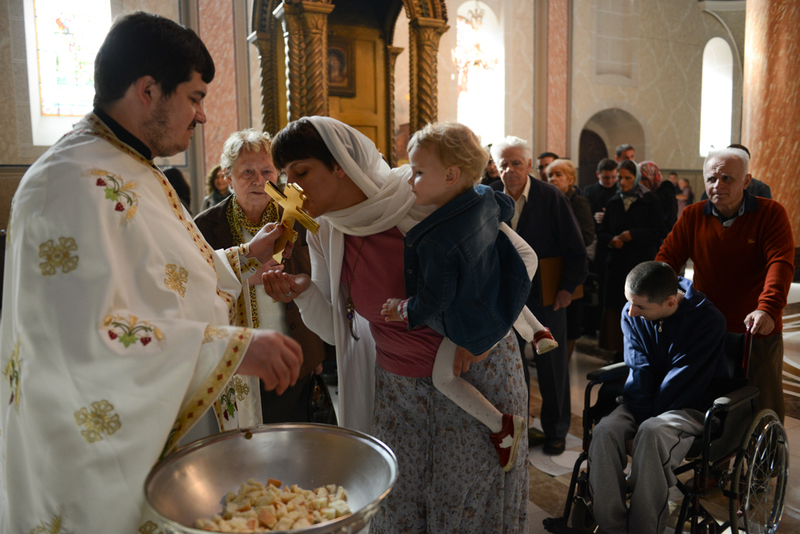 Serbian Orthodox arishoners line up to kiss the cross during Sunday mass at the Nativity of Theotokos - Mother of God Serbian Orthodox Cathedral on October 12, 2014. Many said they feel unwelcome in postwar Sarajevo and were either too old or too poor to move to the Republika Srpska.